If the hands are a basic tool for expressing emotion, a set of acrylic nails is kind of like a cordless lithium-ion SDS 3-Mode rotary hammer—the job gets done faster and more powerfully, if also a bit more loudly. In the latest evidence of this, gigantic fake nails brought a glittering, sassy sensuality to 20-year-old Canadian figure skater Gabrielle Daleman’s performance in the ladies single free skating event on Sunday night. 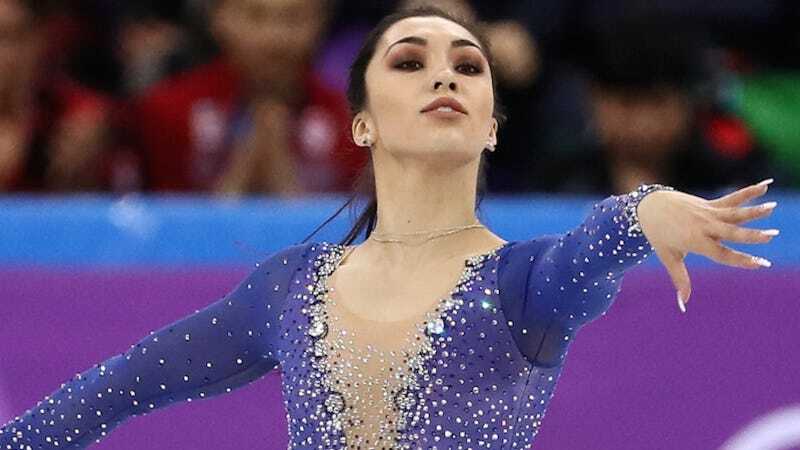 It is strange to me that every figure skater on earth has not opted to glue these immense fuckers on, since it’s not like they have to use their hands for anything except elegant wrist movements and gestures of humble gratitude. Hello, why not?! You guys are wearing sparkly kerchief-dresses already, please don’t act like you’re above it? Daleman after her performance in the Ladies Single Free Skating event. Image via AP. Ugh! Bye, I’m going to the salon.